The Net Metering and Interconnection Agreement must be signed and returned to PenLight in order to connect the energy producing system to the PenLight electrical distribution system and to receive applicable credits. Once PenLight reviews and approves the customer-owned electric generation system, the customer may be connected to the utility’s distribution system. Net Metering enables excess electricity generated by the customer-owned system to be credited to the customer’s bill at the same rate they are charged for electricity. Due to the high level of interest in the Renewable Energy System Incentive Program and the funding limitations prescribed in the governing legislation, the Washington Statue University Energy Program has established the following requirements, which will govern the incentive program’s closure. Applications received after February 14, 2019, or that have a final electrical inspection date after January 31, 2019 will be placed on a wait list to be processed only if funds are available. 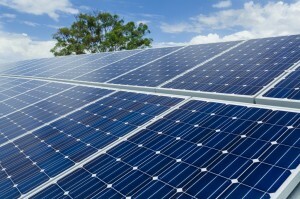 Click here for the latest information on the new solar incentives. Please complete and return the Incentive Application Form to Peninsula Light Company. You must return the form to PenLight no later than August 1st in order for PenLight to be able to pay you your incentive payment. If you have any questions, please call us at 253-857-5950 or email powerresources@penlight.org.